Dominion Virginia Power has modeled a resource plan with 15 gigawatts of solar power, which it calculated would save Virginia customers $1.5 billion compared to a plan that includes a $19 billion nuclear reactor. Yet when the company submitted its menu of resource options to regulators at the State Corporation Commission as part of its 2016 Integrated Resource Plan (IRP), it included the North Anna 3 nuclear plant while omitting the high-solar option. The high-solar option only became public when attorneys Will Cleveland and Peter Stein of the Southern Environmental Law Center (SELC), representing an environmental coalition, asked the right questions during the discovery phase of the IRP proceedings. Utilities in 33 states must periodically file an IRP. The IRP is intended to define the least-cost set of resources that can meet forecasted electricity demand plus a reserve margin, while also meeting the state’s policy goals on renewables and efficiency. Utilities use computer models to develop an IRP. Dominion’s utility planning model generated the 15,000-megawatt solar option when the utility set no constraint on the amount of solar that could be added. To those who have followed the low and still-falling costs of utility-scale solar, it may not be surprising that solar, including any integration costs, would cost less than the proposed North Anna 3 nuclear reactor. But to learn that Dominion’s own utility planning model presented that result to Dominion is a revelation. To justify discarding the high-solar option, Dominion executive Robert Thomas said that “15,000 megawatts of solar… was a lot of land.” Yet data from the National Renewable Energy Laboratory show that this amount of solar would need only 0.4 percent of Virginia’s land area (i.e., 15000 MW times 7.9 acres per MW, divided by 27.376 million acres of land). Mr. Thomas also said that the high-solar option “could create reliability issues,” yet high-renewables utilities in Iowa, South Dakota, California and Europe are highly reliable, thanks to accurate day-ahead weather forecasting and sophisticated utility “unit commitment” models that are also available to Dominion. The environmental coalition represented by SELC consisted of Appalachian Voices, Chesapeake Climate Action Network, and the Natural Resources Defense Council. Another issue is that current IRP modeling systems fail to account for the full range of benefits that energy storage offers. In addition to capacity, advanced energy storage provides high value flexibility services, like frequency regulation or ramping support. But planners don’t always have the right tools to evaluate those flexibility benefits and subtract them from the cost of storage — or what ESA calls a “net cost of capacity” analysis of capacity investment options. 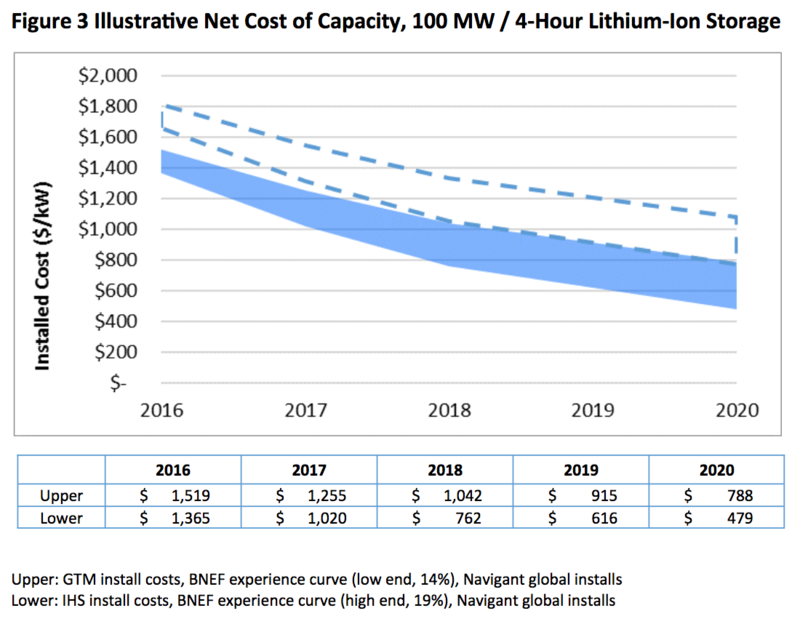 To capture the benefits of storage, the primer highlights a net cost of capacity formula used by Portland General Electric in its 2016 draft integrated resource plan: Net cost of capacity = Total installed cost – Operational benefits (i.e., flexibility of operations and avoided costs). 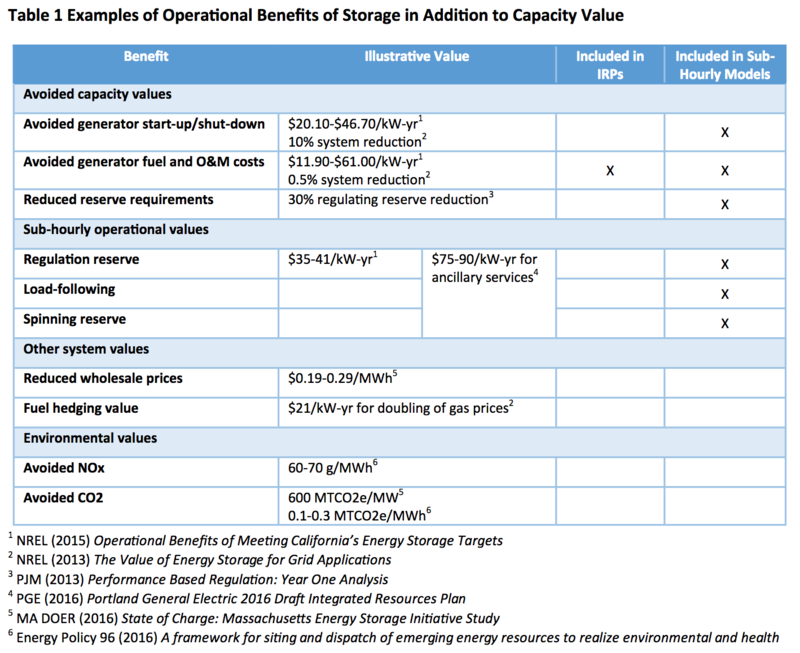 Preliminary findings from the draft IRP found that operational benefits of storage were expected to be approximately double the capacity value ($90 per kilowatt per year versus $40 per kilowatt per year, respectively). This article was originally published on GreenTechMedia.com.